We can supply a wide range of self adhesive Direct Thermal Labels to suit a wide range of popular label printers such as Boca, Citizen, Datamax, Datamax-O'Neil, Godex, Intermec, Kroy, Sato, Star Micronics, Toshiba TEC, TSC, Wasp, Zebra printers and also other makes of printers supplied on rolls or fan folded with and without a black sensor bar printed on the reverse side of the backing paper. We can supply economy or top coated Direct Thermal self adhesive labels, plain white, colour washed or pre-printed with your artwork in CMYK or Pantone colours for over printing and also in a wide range of paper and synthetic materials with various adhesives from permanent to peel off, also including labels suitable for use in Chiller and also Freezers to suit you chosen label pinter. 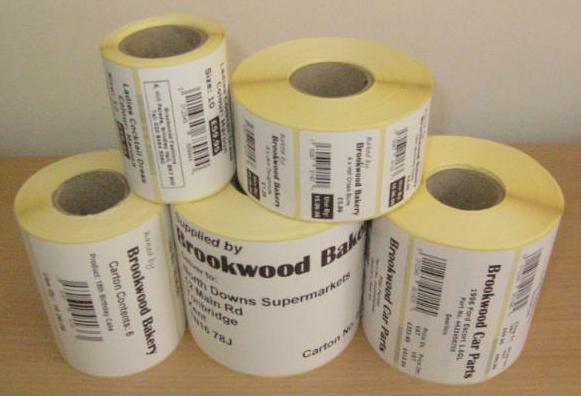 We can now have CYMK self adhesive Digital Labels printed to your own design and artwork and can also supply a Labelling System with Software & Printer and Pre Printed Labels, Tickets & Tags for you to over print your product, carton and shipping labels on demand to minimise wastage, this is ideal for perishable goods in particular for food, produce and sandwich manufacturers and other industries as labels can over printed with product description, ingredients, sell by dates, batch numbers, pricing, sequential numbering and barcodes as required. Let us know the application you want to use your labels for and what you want to affix the labels to, the quantity and size of labels and we will send you our quotation. 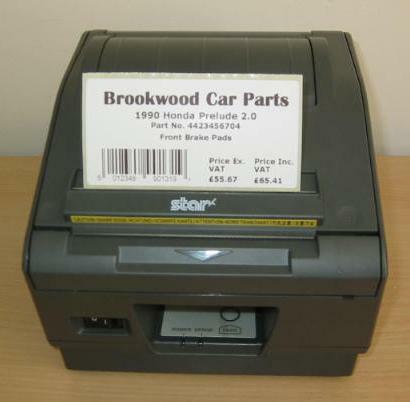 We can offer a wide variety of labelling, tag, swing ticket and ticketing solutions. See our range of Labels and Labelling Materials for use in a wide range of applications and call us now on 020 8464 5492 with your labelling requirements.